Any person legally authorized to execute process, such as serving a subpoena or a warrant. Resisting an officer without violence, as defined by Florida Statute § 843.02, occurs when you deliberately resist, obstruct, or oppose a law enforcement officer while the officer is engaged in the lawful execution of a legal duty or serving legal process. This charge is classified as a first-degree misdemeanor. If you’re convicted of resisting without violence, the penalties include up to 1 year in jail, up to 1 year of probation, and up to $1,000 in fines. There are four main defenses a skilled Gainesville criminal defense attorney such as Adam Stout can raise to defend against a charge of resisting without violence. To be charged with resisting without violence, you must reasonably know or understand a law enforcement officer was indeed an officer. You have the legal right to passively resist unlawful arrest, detention, or investigation while the burden of proof for the arrest to be lawful resides with the State. Probable cause is needed to support a lawful arrest. Clear and reasonable suspicion of someone about to commit, committing, or having committed a crime before detention is required for a lawful investigation. The use of reasonable force to defend yourself against excessive force by a law enforcement officer is justified. Yet, self-defense is only allowed to the extent it’s reasonably believed to be necessary, along with self-defense being justifiable under the circumstances at the time. Words alone rarely equate to resisting without violence. Instead, obstructive physical conduct must accompany any words to uphold a charge of resisting without violence. 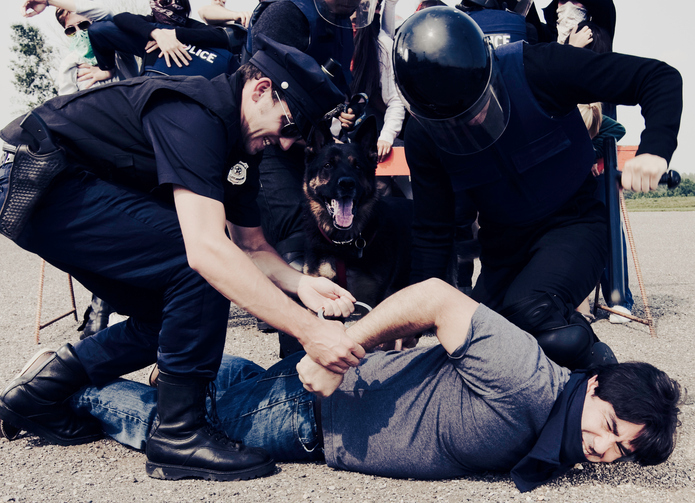 Resisting an officer with violence is a serious criminal charge in Florida which comes with more severe penalties than resisting without violence. The act, as defined in Florida Statute § 843.01, occurs when you purposely obstruct, oppose, or resist a law enforcement officer by engaging in or threatening violent conduct against the officer who was lawfully executing a legal duty. Resisting an officer with violence is a third-degree felony. 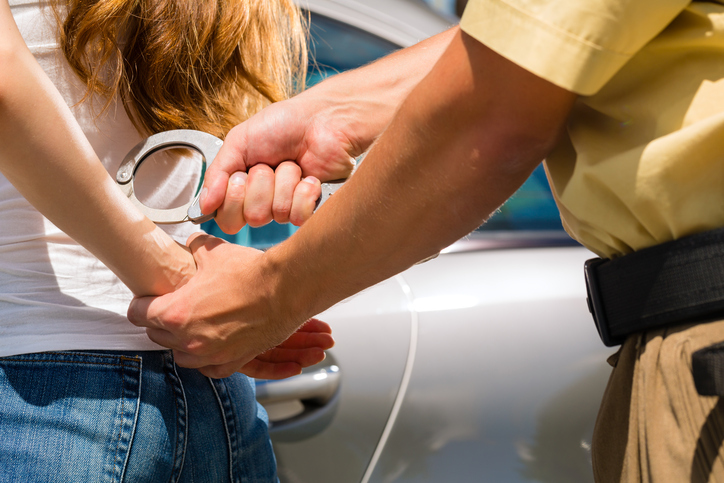 Because a charge of resisting an officer with violence comes with severe penalties, it’s important to immediately contact an experienced criminal attorney in Gainesville. Adam Stout will promptly review your situation and begin vigorously defending your rights. The penalties for resisting with violence include up to 5 years in prison, up to 5 years of probation, and up to $5,000 in fines. There are three specific defenses which an experienced criminal lawyer such as Adam Stout can raise against resisting with violence. To be convicted of resisting with violence, a law enforcement officer is obligated to be “engaged in the performance of a lawful duty,” as found in Taylor v. State, 740 So. 2d 89 (Fla. 1st DCA 1999). If the law enforcement officer is working for a private employer, such as off-duty as a security guard, he or she is simply “on the job” for the private employer. But, if the officer becomes involved in “activities of an official police nature” while working for the private employer, such as breaking up a fight, charges for battery on a law enforcement officer may be brought against a person. Force isn’t justifiable against a law enforcement officer whose status you know and understand. But, if there isn't an opportunity to know the person is an officer and not someone impersonating an officer, this defense is plausible. A charge for resisting an officer can quickly impact your life. This is why it’s important to contact a criminal defense attorney Gainesville residents know is on their side, Adam Stout with Stout Defense, P.A. Adam reviews the facts and circumstances surrounding your case and fights to defend your rights.